Always Ashley: Books. It's an Addiction. As you may know, if you read my post on fifty facts about me, I. Love. Reading. Plain and simple. 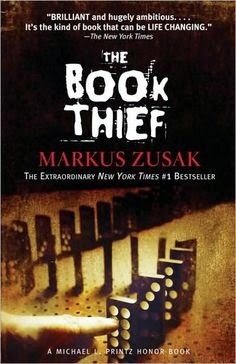 Currently, I am reading The Book Thief by Markus Zusak. There are ten parts to this book and I am on part seven right now. Almost there! I love it when a good book captures your mind. It allows for you to leave this very moment and drift into the day of another person. A character. It's a perfect way to unwind after a long day at work. Your mind is at ease and nothing else matters other than what will take place on the next page. Admittedly, I am a bit disappointed with the book thus far. 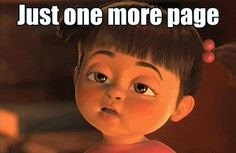 I can put this book down. Now, don't get me wrong, it's a really good read but books that really capture my interest I just can't put down. This book, however, feels like it is taking forever to get to the good part. And I'm on the seventh! It's not like the author's writing quality stinks because it doesn't. It's wonderfully written. Also, the perspective that it's written from (a surprise that I didn't expect) was unique and intriguing. The setting was extremely detailed and convinced me that I'm in the exact city and year that the characters are in. If all of these combined make for a great novel, then why can I put this book down? I guess I just need a little more action throughout the book to keep my pages flipping. I told myself that I will NOT stop reading this book. I will finish it! 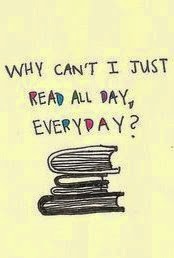 I like the book, I really do! Plus, I want to watch the movie after I'm done because I've heard that it's amazing. Although, books are always (in my opinion) better than how Hollywood portrays them. The ending of a novel can definitely make or break the entire book though. Therefore, I will prevail! I'll let you know what I think about the book after I'm completely done. We'll see if the ending changes my mind about The Book Thief.